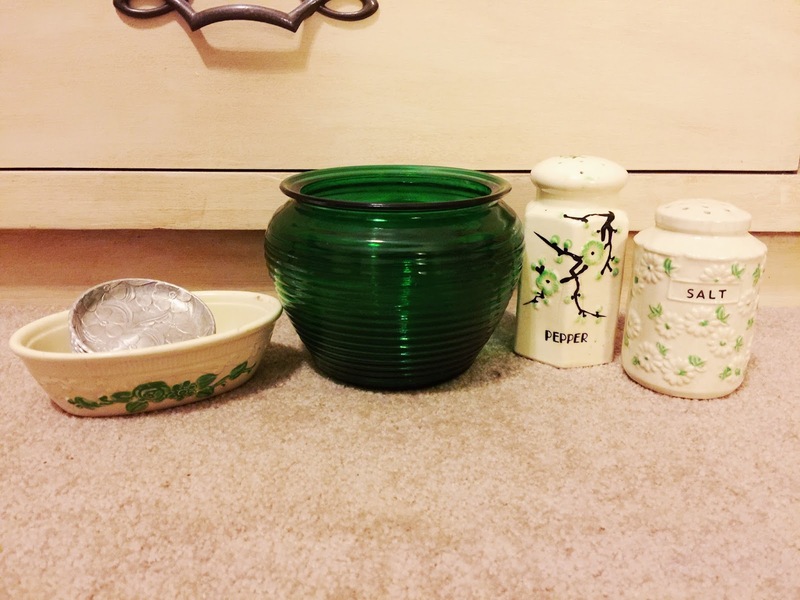 Melissa's Antiques: Jadeite, Dots, and More! GUYS! I went to an awesome auction Saturday. There was some stiff competition and I spent a pretty penny at this auction. But, look at what I came home with. This was probably only 10% of the jadeite at the auction. 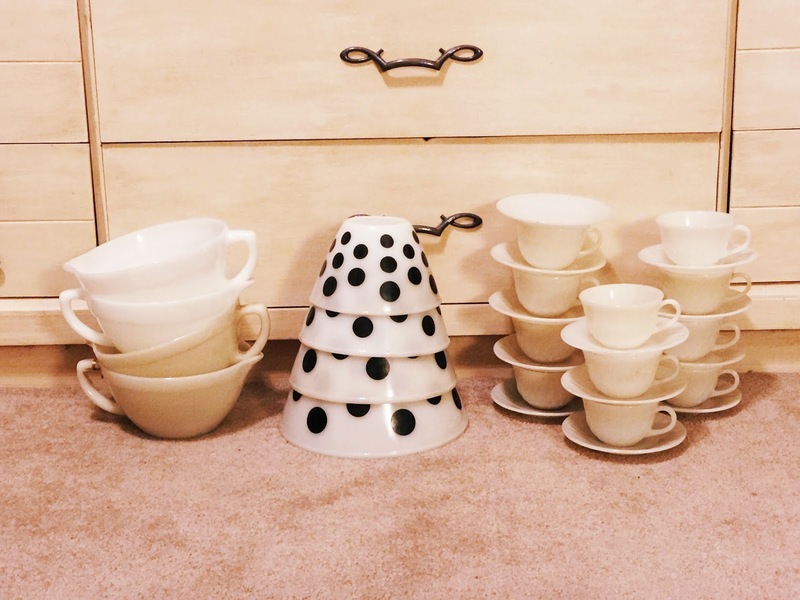 I tried to only buy the most desirable pieces. A lot of the others were more everyday pieces. Currently have these on Instagram. Many headed to eBay this week. The auction was not limited to just jadeite. There was probably every pattern you could think of. After having spent quite a bit on jadeite, I limited the remainder of my purchase. Except the Dots. I HAD to have it. I'd passed on getting this and the red set before at an auction and I wasn't going to let it happen again. I broke 2 of the batter bowls yesterday. Dropped on the concrete and watched them shatter in a million pieces. Oh, and then cut my finger trying to pick up a few of the bigger pieces. Sold half of the teacup/saucer sets so far! A few of the inexpensive buys from the auction, except the Batman mugs. Man oh man! I'll be putting them on eBay soon! I don't normally buy snack sets, but these kinda made me laugh. These are by Federal Glass Co and I think are named Atomic Flower or something similar. Either way, the "flowers" on here look like MJ. (I'm not going to type the whole name here because I don't want folks coming to my blog based on that search term - learned that lesson the hard way.) Either way, I'm thinking of listing them as THAT in the title on eBay and thinking I may be onto something... or not. Ha! A few other random things that came home with me. Damn, Melissa! 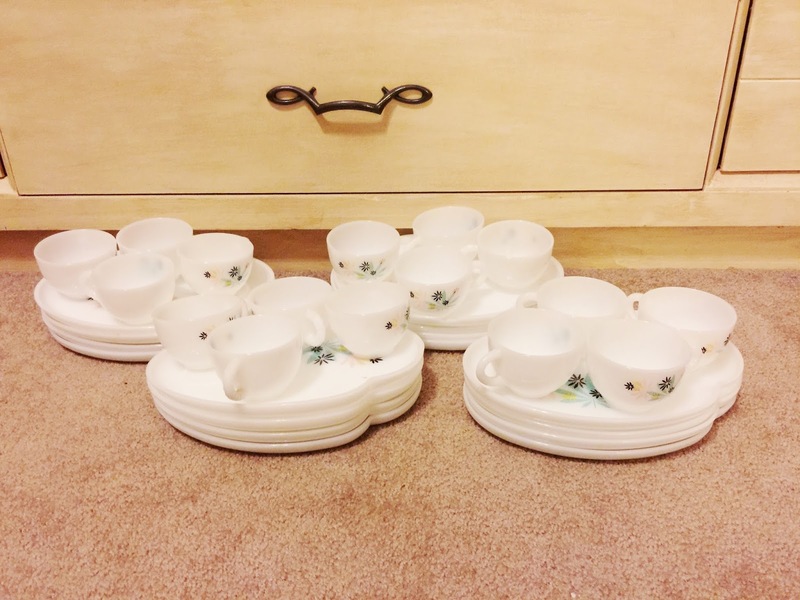 Mother Lode Jadeite! Totally awesome! I love batter bowls! It took me a minute to figure out MJ. I hope you gave the shattered pieces a decent burial or reused them in something. It seems a lot of people are into that jadeite. It is not my thing but it is nice. LOVE your jadeite and those awesome dot bowls. I use my jadeite mugs every morning; I'm convinced they make coffee taste better. Thanks for linking up with Talk of the Town. 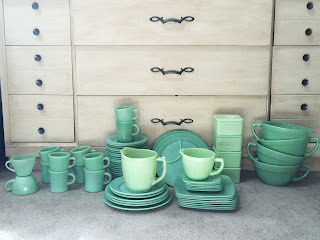 Melissa, I am so jealous of the Jadeite finds! I hope I find some too! The dot bowls are awesome. Great great finds! Have a great weekend. Jadeite and polka dots - I need to visit your shop! sometimes you just gotta have what you gotta have! Love the jadeite and do not own one single piece. Since I have tooo many dishes already I can't start another collection. I can so relate to breaking dishes after buying them...so many never make into our home. 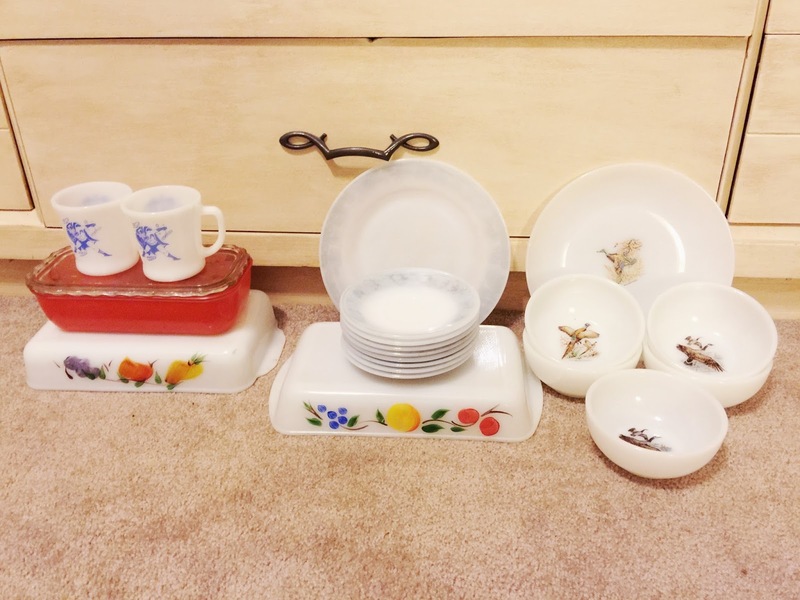 Lovely pieces you brought! That Jadeitte is fabulous. Now I want some. I love the top green color. Thanks for sharing with us on Thursday Favorite Things. Great scores! Of course I love the jadite and the dottys are fabulous! I am wanting a red dotty set. Thanks for sharing with SYC.